Remember back at the beginning of the year when I said I was going to challenge myself to cook from all of my cookbooks throughout 2015? And I was going to post monthly updates on how that was going? Yeah…seems that I’ve kind of fallen off the wagon. Or more that the wagon has slowed down. I definitely haven’t kept pace with my 6 cookbooks/month rate that I had determined would be needed to finish this challenge in a year. But all has not been lost – I have actually tried some recipes that were new to me. And I’ve actually taken some photos (at least I remembered to do that). So here I am, getting back on the wagon. I have no delusions that I will complete this challenge by the end of the year now. And that’s okay – life happens and you aren’t going to miss out on things just because you need to make a certain recipe. Well, at least, I’m not. But I’m still going to keep exploring my cookbook collection, and I’m still going to update you on the progress. We’ll see how long this challenge actually takes! So I’ve only actually cooked from 3 different cookbooks over the past while, but I’ve actually made 6 different recipes. 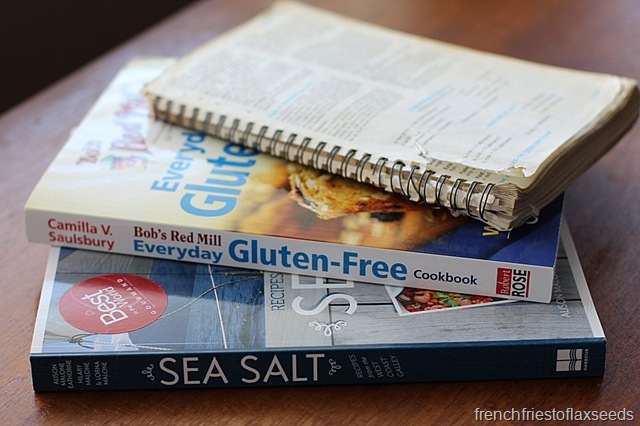 Instead of looking through cookbooks for inspiration, I was more intent on finding recipes for very specific foods, which lead me to one of my classic cookbooks on 3 occasions. Which classic cookbook you may ask? Great question! I know it’s a Five Roses Flour cookbook, but I’m not 100% sure what it is actually called. You see, I have my grandparent’s copy, and it’s missing the cover and the first 6 pages. 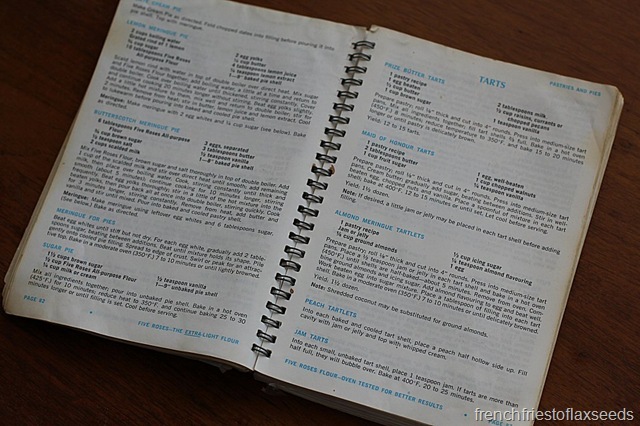 I know it is probably from the 1960’s or 1970’s, which means it’s probably A Guide to Good Cooking – Five Roses Flour. Regardless of the name, it’s a great cookbook for any classic recipe or technique – I grew up cooking from my mom’s copy. Anyways, let’s get to the food! 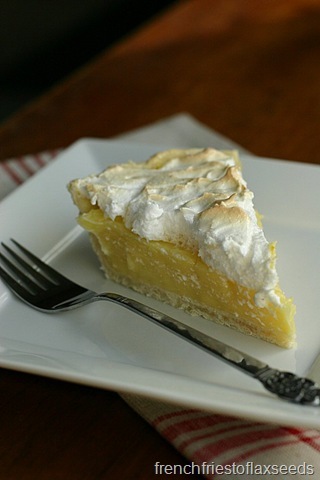 Way back in March, there’s this little thing called Pie Day (or Pi Day if you are mathematically savvy). I knew I needed to make a pie. 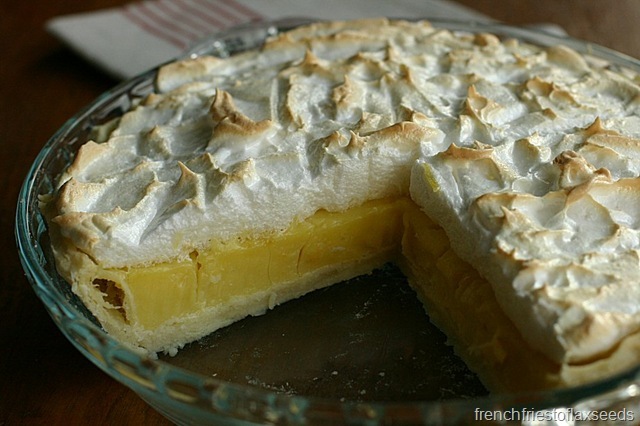 And I had it in my head that I wanted lemon meringue pie, because hey, why not? I called my mom to ask her what recipe she uses. I should have known – it would be in the Five Roses cookbook. So I looked it up, go the ingredients, and got to it. And now I’m craving a slice of pie. One night I had a chocolate craving, but there was none in the house. Aside from the fact that should have never happened (everyone has a chocolate stash, right? ), I decided that I would try making old school hot cocoa on the stove with my cocoa powder. Another simple recipe, and a great way to have control of how much sugar you add to your cocoa. And easy to customize with other flavourings – I added a little vanilla, but you could also add cinnamon, chili, peanut butter, or even some instant coffee to make a mocha. Fun! 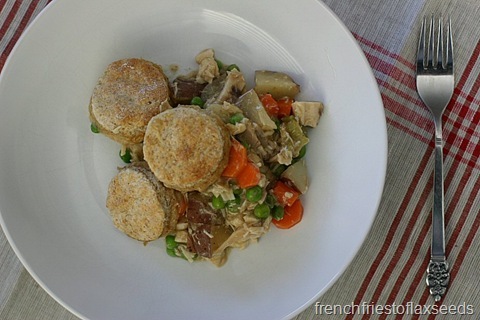 We had made a roast chicken dinner one weekend, and I decided I wanted to make a chicken pot pie with the leftovers. Such a great way to repurpose a whole meal – whatever veggies, meat, and gravy you have leftover can be turned into something that feels completely different with minimal extra effort! Thinking this is a classic dish, I went searching in my trusty Five Roses cookbook of course. Turns out there wasn’t a recipe for chicken pot pie, but there was one for turkey pie. Then I looked at the variations, and saw the Country Style pie used biscuits instead of pastry, which sounded even better. I did make a few tweaks – the recipe called for cream of mushroom soup, so I just made my own blend of milk and whatnot, and I used whole wheat flour in my biscuit dough. 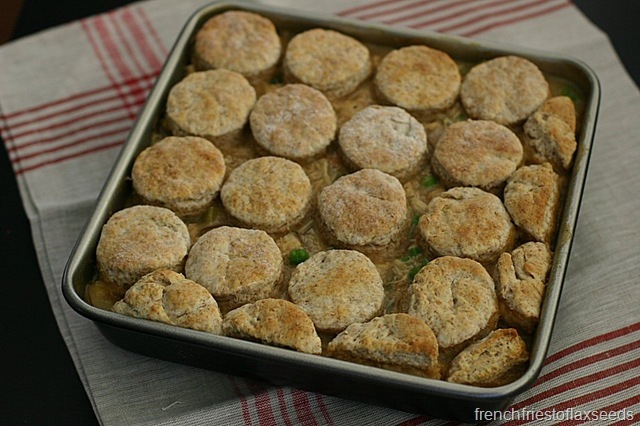 Other than the fact that I made the biscuits too small (bigger ones would have looked nicer), it turned out really well, and made for an easy week night meal using up leftovers! Okay, so maybe these two recipes shouldn’t count since I did them for a cookbook review, but whatever, it’s my blog and my challenge, so I make the rules. Plus if I don’t include them, I feel like I haven’t made as much progress on my challenge 😉 So here’s my Carrot Bread with Coconut and Cardamom, which you can read all about here. 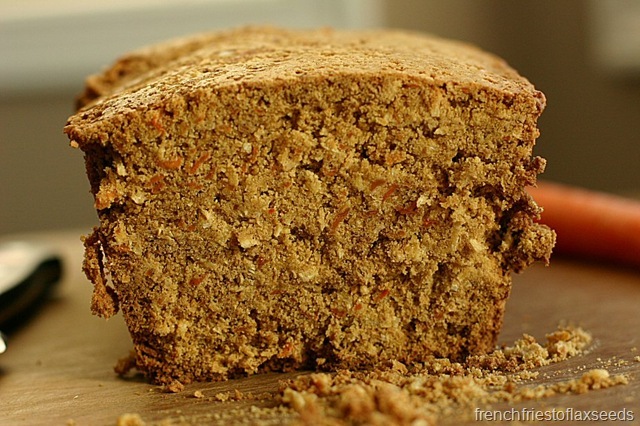 Spoiler alert – it was delicious and crumbly. And I enjoyed experimenting with some gluten-free baking. 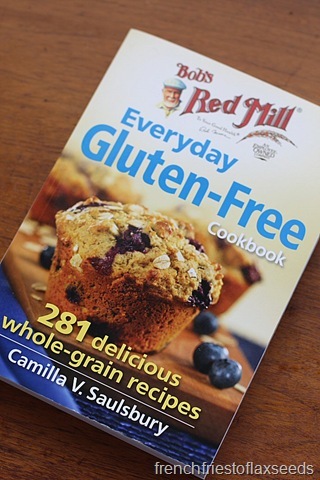 Another recipe from my Bob’s Red Mill Everyday Gluten-Free Cookbook review. One that the boyfriend picked for dinner, which turned out to be pretty damn tasty. 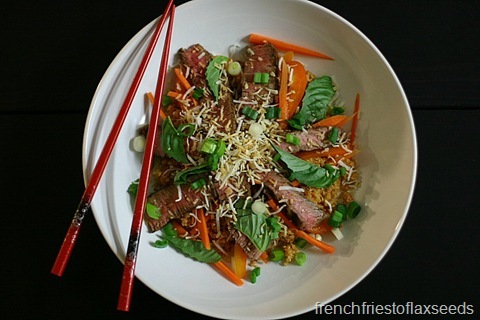 I was a huge fan of the red curry paste to season the quinoa, and that I cooked the steak perfectly! I feel that’s an accomplishment all in itself, since I rarely cook steak. Feel free to click on over and read more about it, and get the recipe to try yourself. 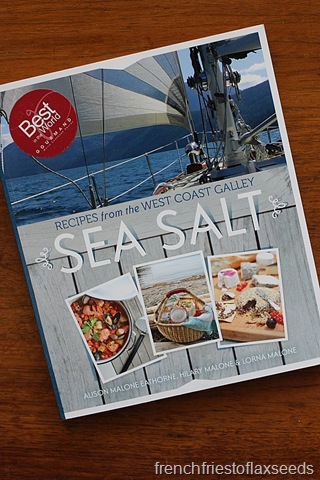 Sea Salt is a cookbook I won through a contest with Gusto TV, and was super excited to check out – I love cookbooks featuring fresh coastal inspired cuisine (what can I say, I’m a west coaster born and raised!). It has beautiful pictures, and mouth watering recipes. But alas, I had yet to try any of them. Shame on me! Then I found myself looking for a dish to make for a spring potluck at work. I had in my mind I wanted to bake something, so I picked up Sea Salt, and started thumbing through the baked goods. When I saw the word rhubarb, I knew that’s what I was going to make – what’s more spring than rhubarb? They may not look flashy, but they were fantastic. To be fair, I am a little biased, since I love rhubarb in pretty much everything, but my coworkers were also impressed – I had many asks for the recipe. 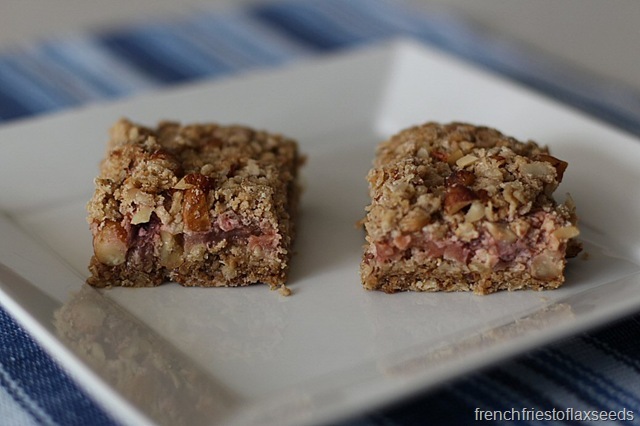 They were super easy to make, and I loved the addition of hazelnuts to what might otherwise be a basic crumble bar recipe – they added a nice nutty crunch, and a definite west coast flare. If you see a copy of Sea Salt, I recommend picking it up. 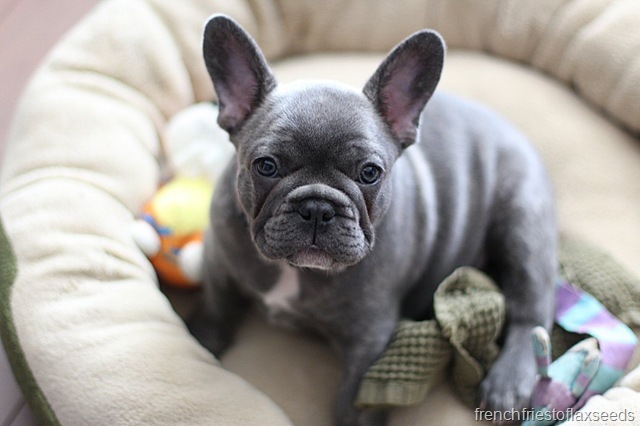 Perhaps all my next recipes should have barley in them in honour of this cute little Frenchie?